Folarin! And he holds that name up highly! Wale has dropped the visuals to 'Street Runner' a single off his mixtape 'Folarin'. 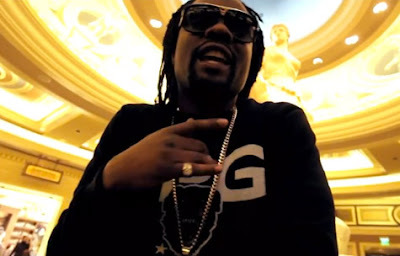 The Maybach Music Group rapper cruises through Vegas, enjoying life in Hotels and Casinos in this Jon J directed clip. Following up the success of his sophomore album 'Ambition' in 2011 and going Gold, Wale plans on dropping his third studio album 'The Album About Nothing' this year. His single 'Bad' featuring Tiara Thomas is currently getting airplays all over the radio and reached number 33 on the US R&B charts.